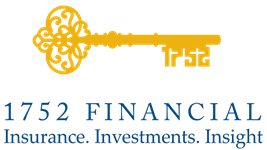 Our Process | Matt Brotherton - 1752 Financial, Inc.
We offer simple strategies to complex financial problems. To do that, we focus on learning about our clients and what makes them unique. Our clients are part of our process from the beginning; we keep you involved and make sure you understand what we are doing and why we are doing it. What changed in your life that brought you to visit us? What financial experiences have you had in the past? What was the worst financial decision you ever made? What was the one investment you didn’t make but wish you had? How do you track performance of your investments: by relative return, absolute return or progress toward your goals? Knowing where you want to be, what challenges do you face to get there? Trial attorneys who want to bring on partners and develop a succession plan. A family with a special needs child, looking to provide for his future.